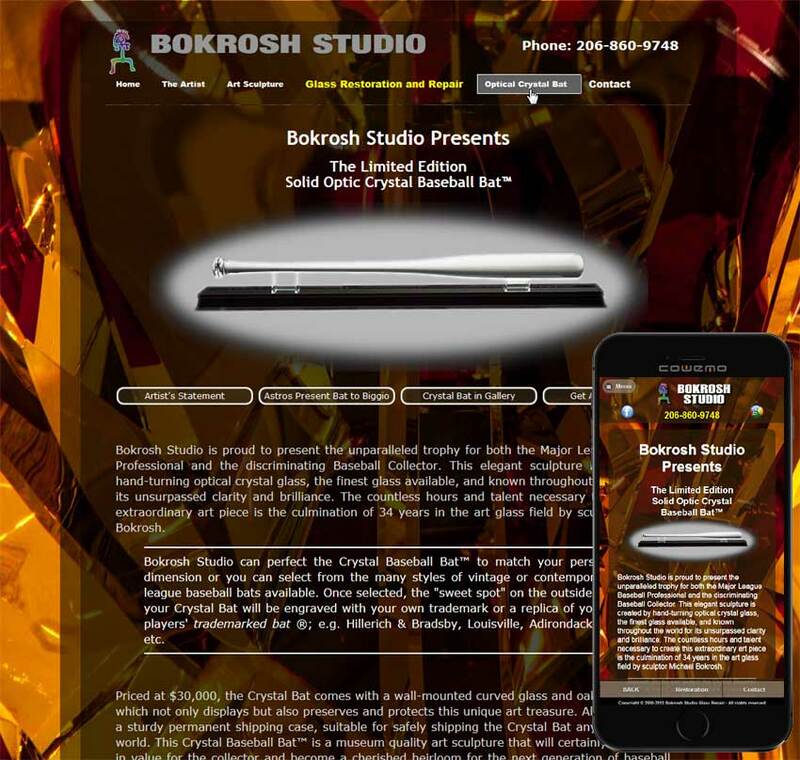 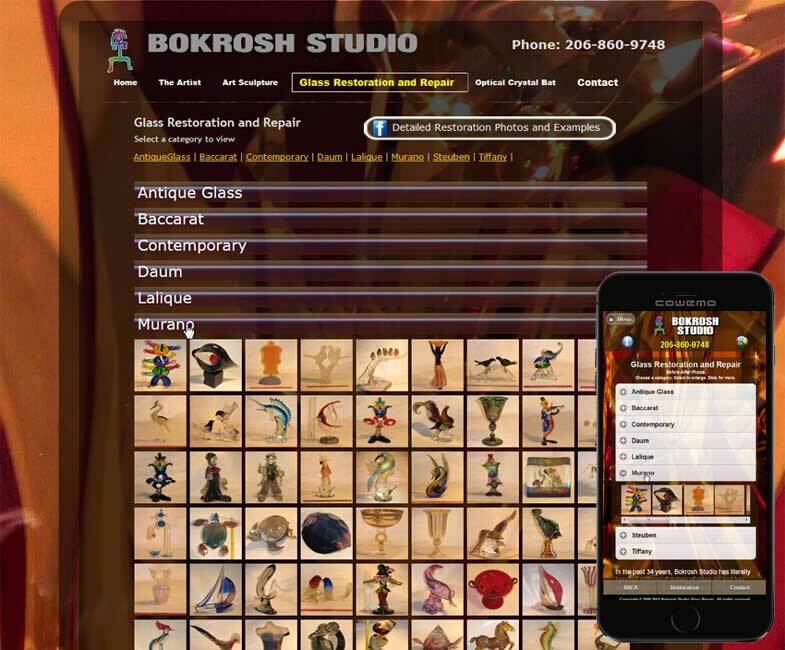 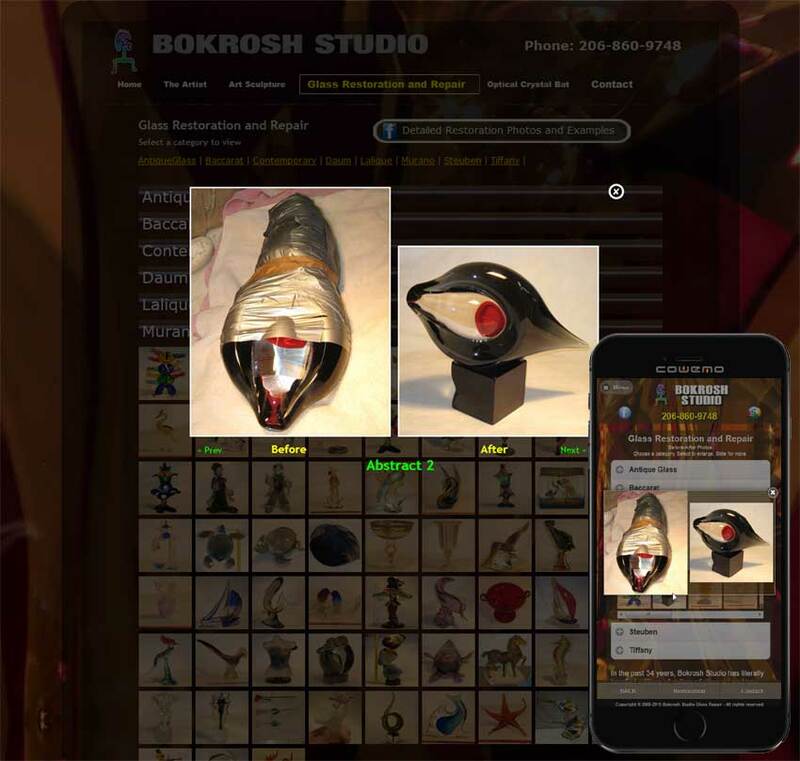 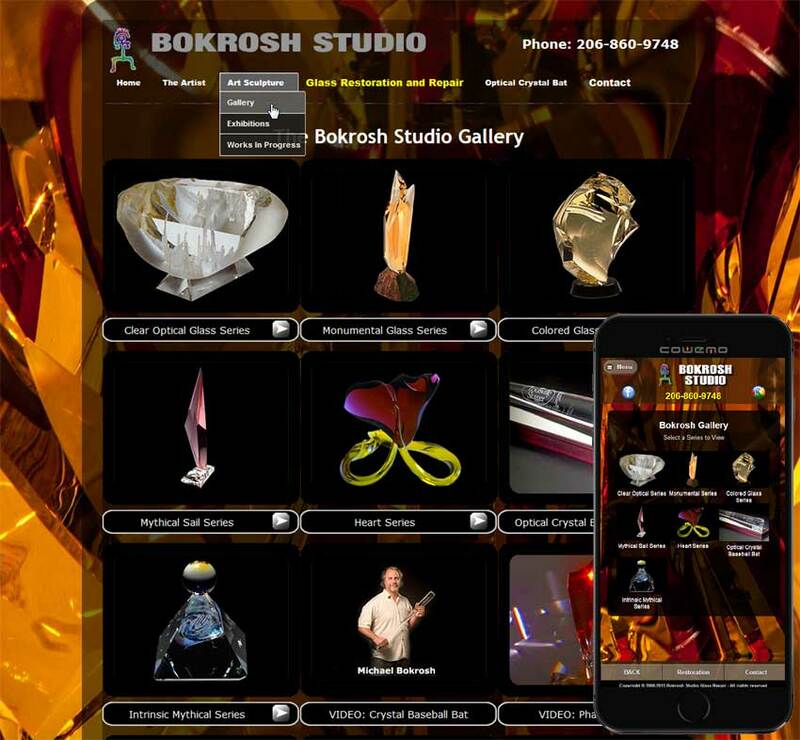 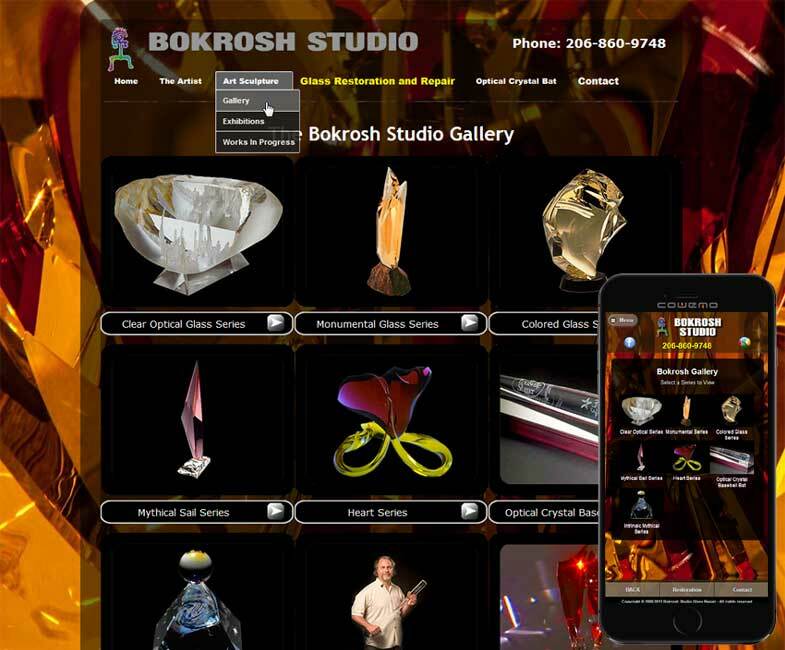 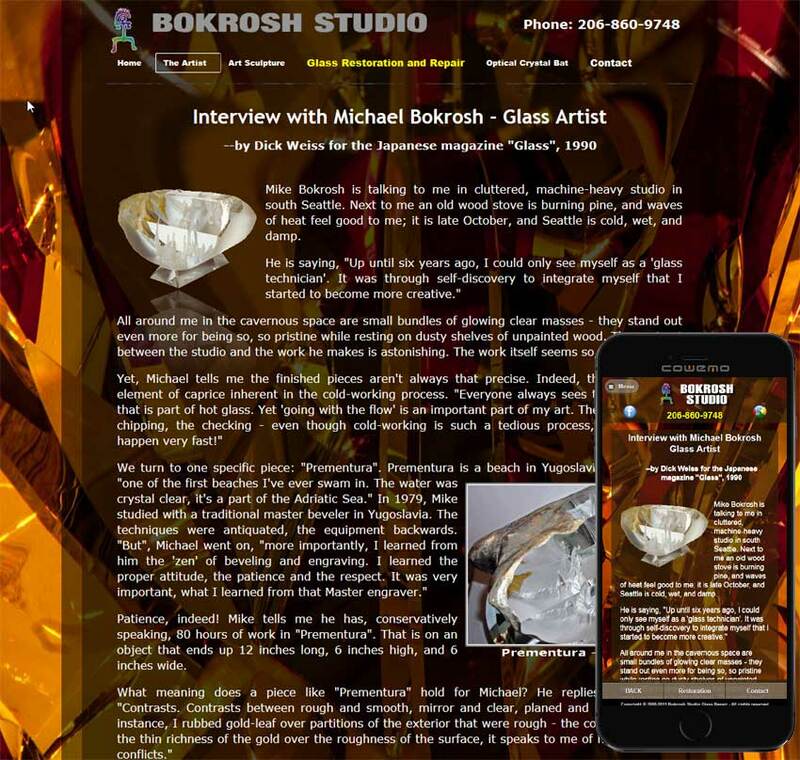 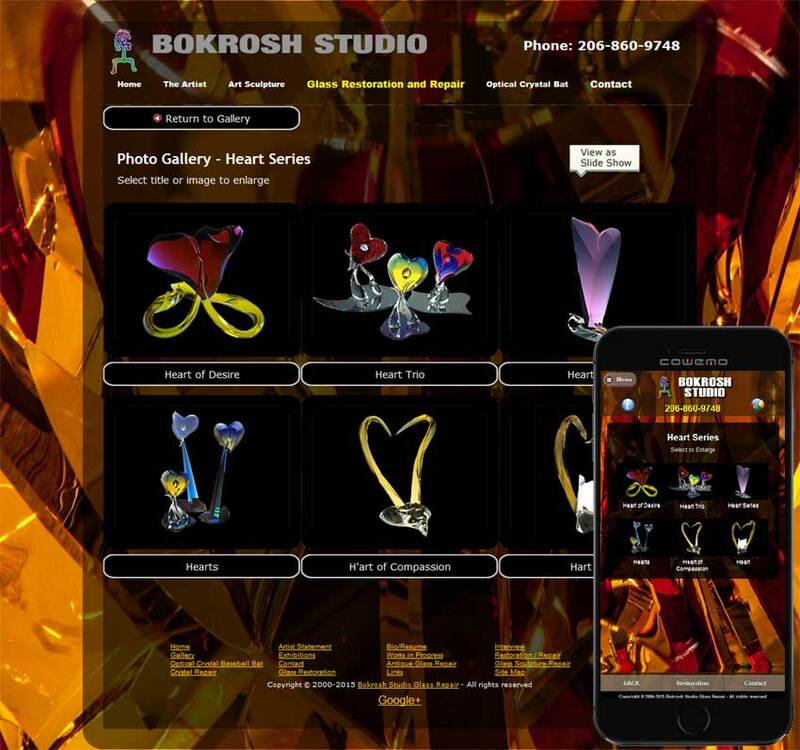 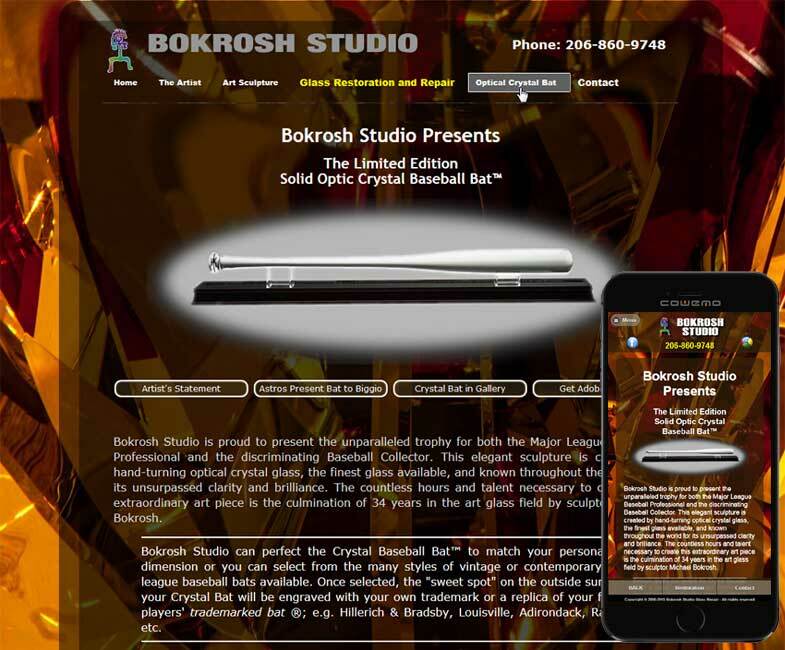 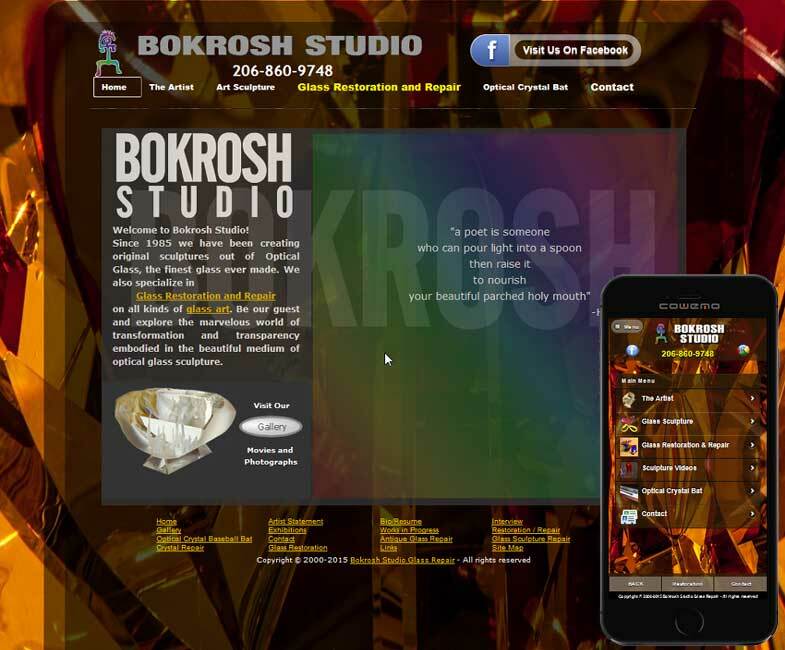 This is the latest version of Bokrosh Studio. 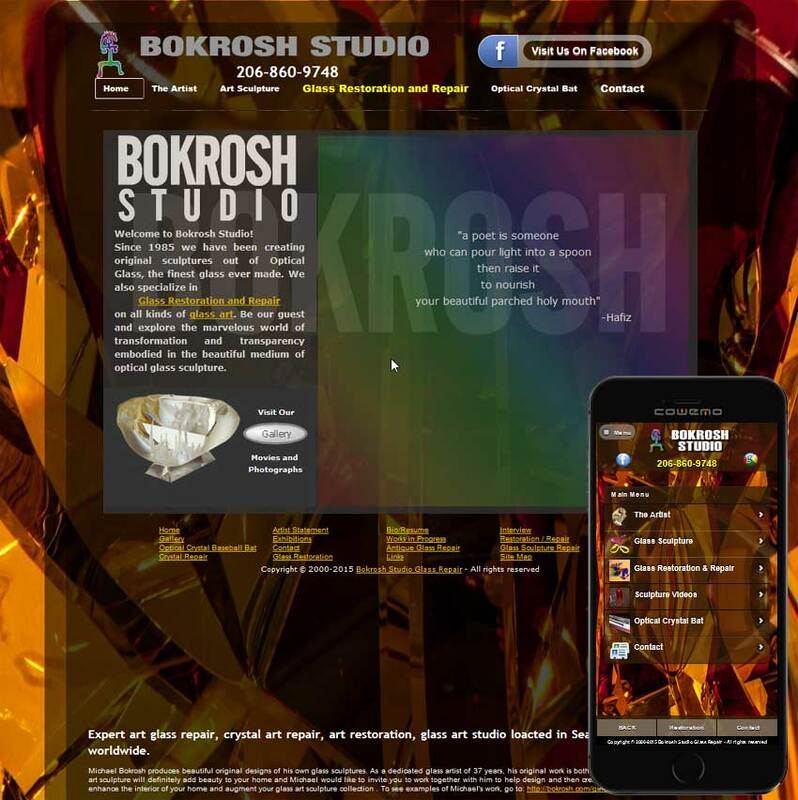 In 2005, we redesigned the site and have maintained it and kept it up to date since. 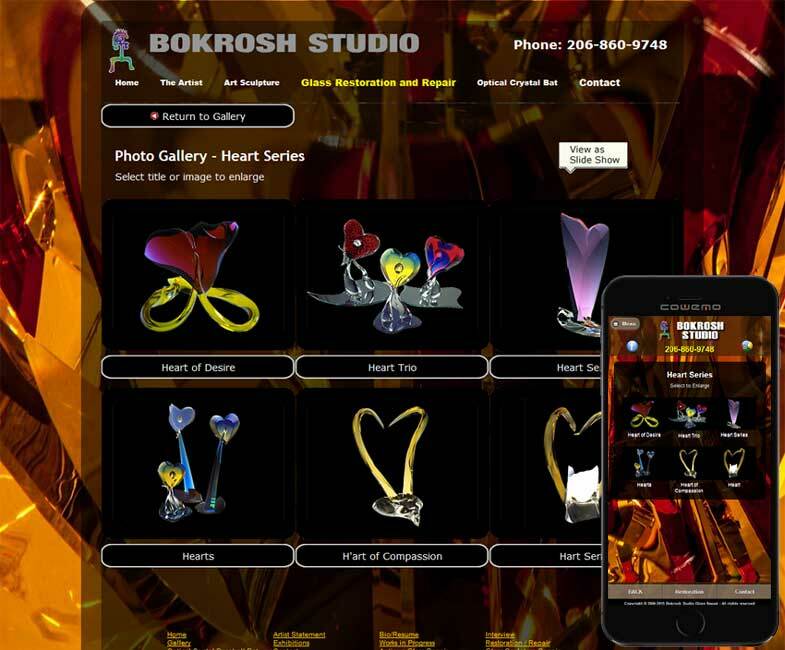 Some of the artwork photos used on this site, had originally been copied from photographic slide film to digital format, leaving them dull and off color. 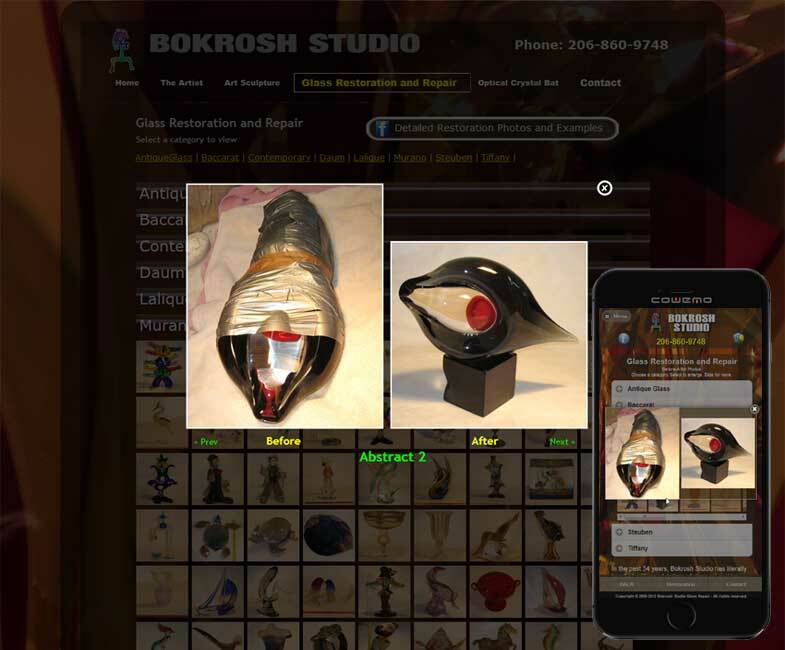 These were brought back to life using several photo-enhancement techniques. 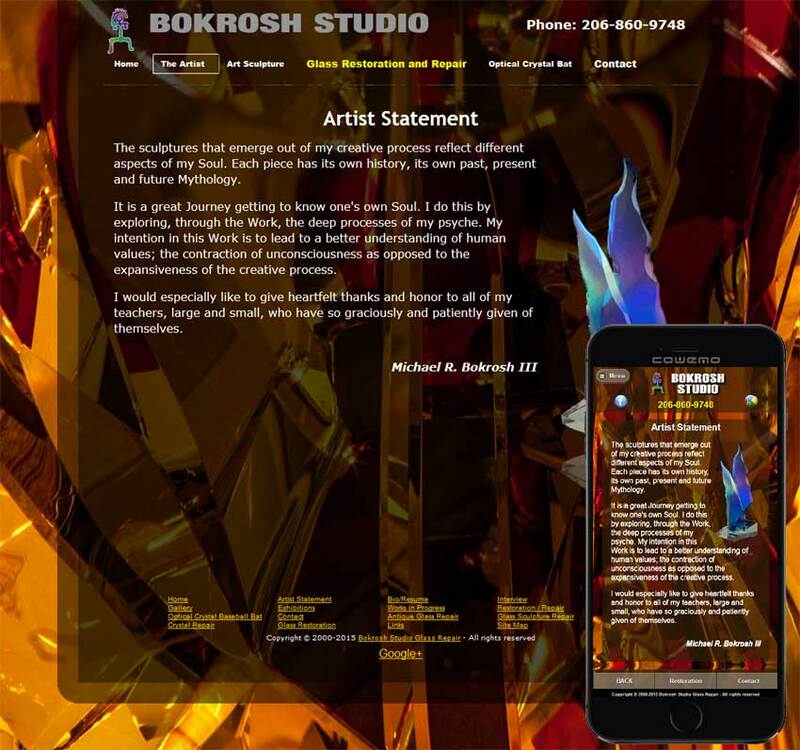 The background is taken from one of the artists art pieces. 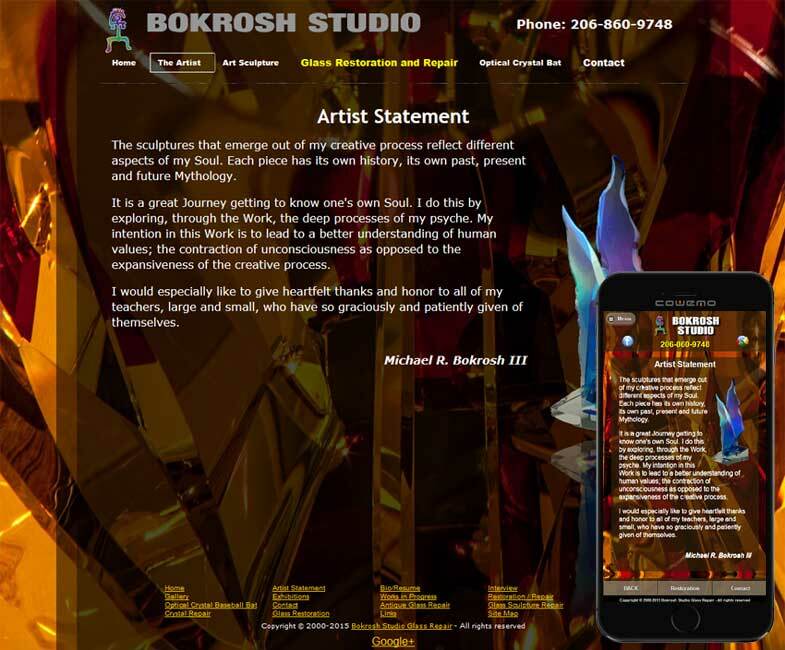 Although it makes for a fairly busy background, it is eye catching, unusual, and a display of the artist's extraordinary talent. 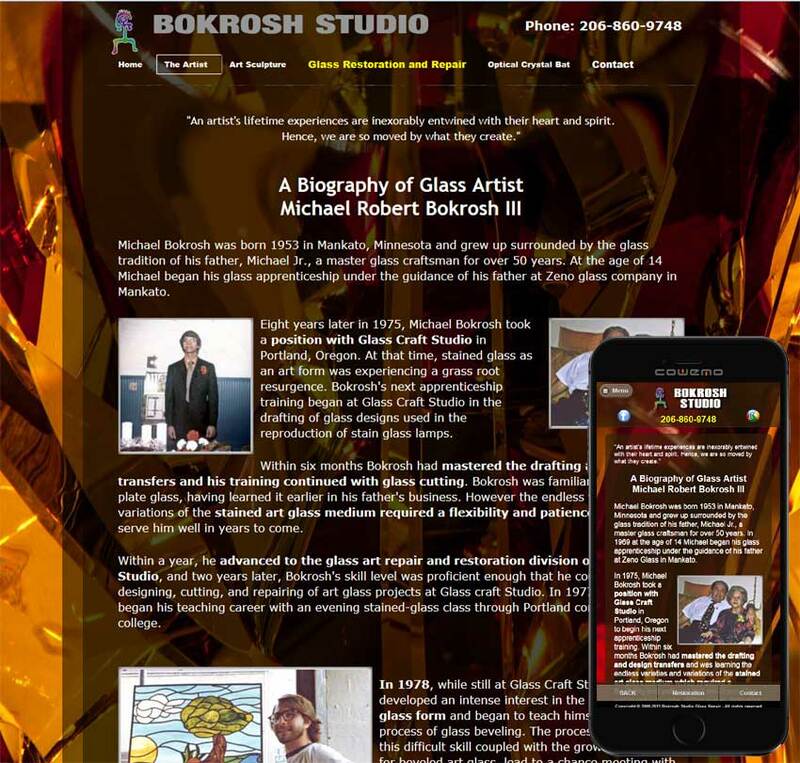 Transparency is used throughout the site to create a "glassy" effect. 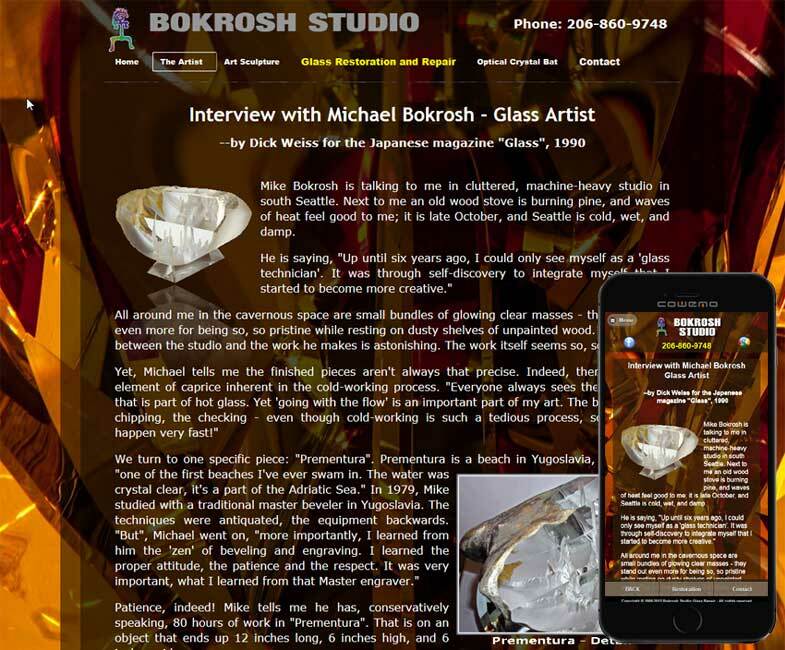 Transparency is not supported by some older browsers, so the site is designed to "degrade" gracefully into a solid background when it is accessed by those browsers. 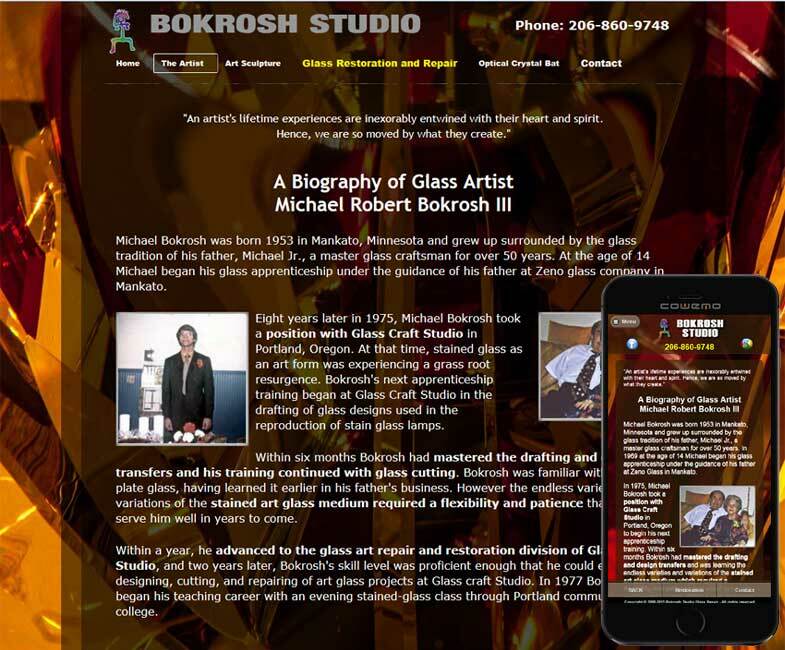 Due to some complex graphic displays and the fact that this site has evolved from the original design ten years ago, it was decided that, for some pages, it would be more efficient to create independant displays for cell phone visitors, rather than redesigning those pages. 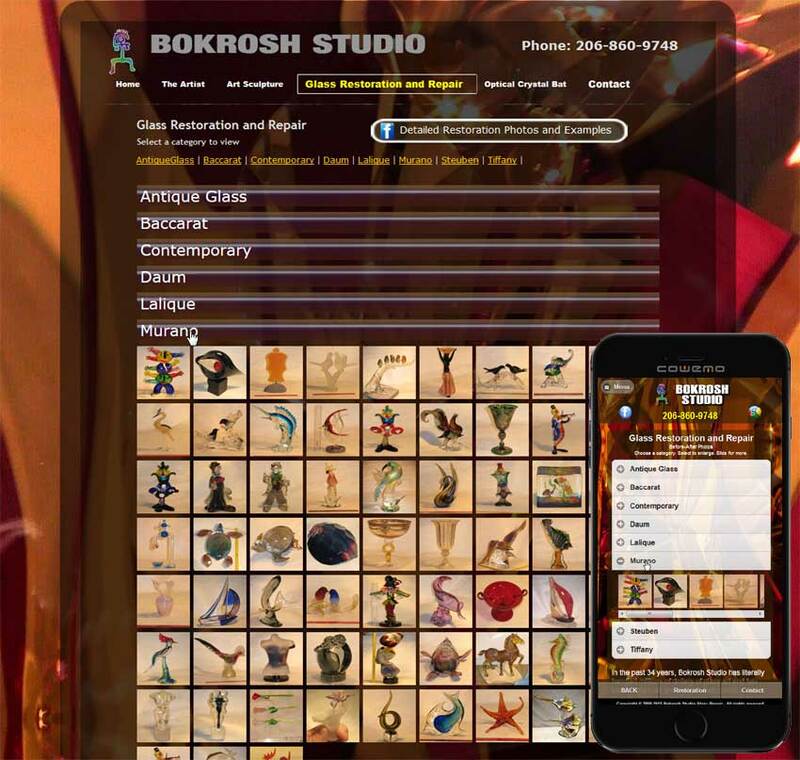 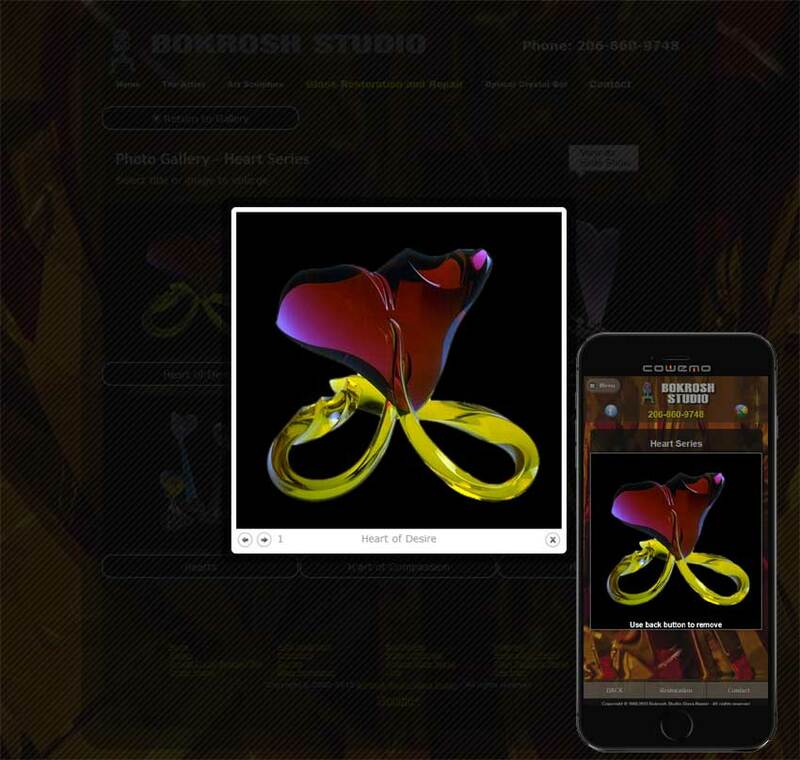 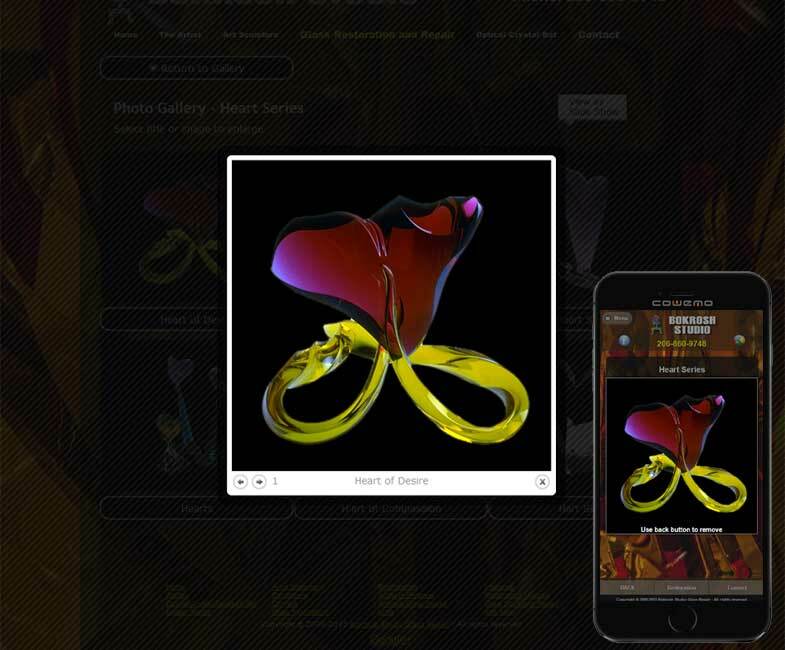 This site also features a back-end utility, allowing the studio to simply upload photos and text to add to the gallery at any time.